The Theta Chapter of the Delta Sigma Lambda National Fraternity at the University of Montana-Missoula was granted a charter in 1927. The fraternity was founded by men who first established a local social Masonic fraternity called the Templars on February 3, 1924. 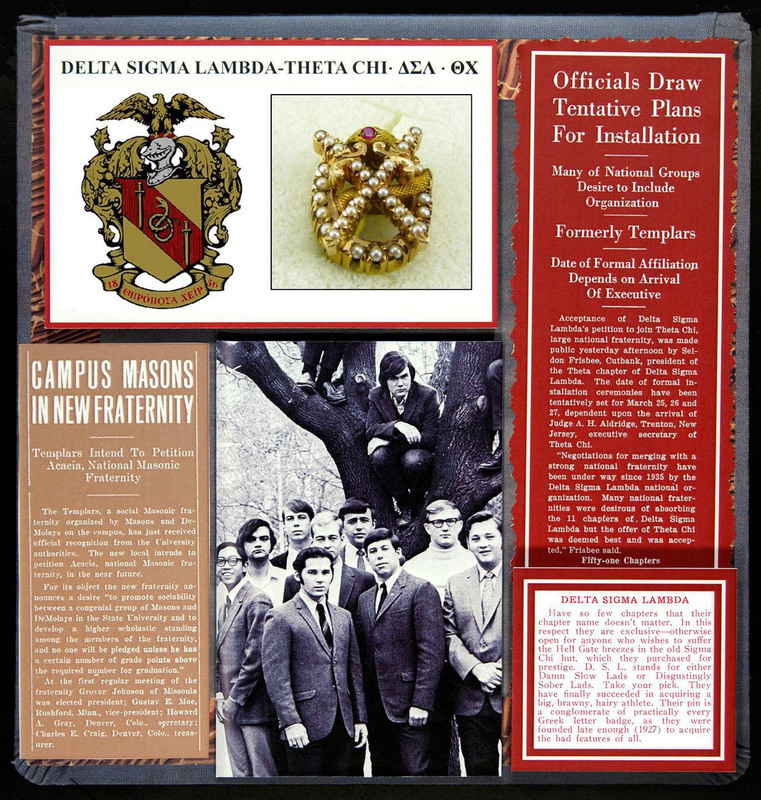 On March 27, 1937 Delta Sigma Lambda merged with national fraternity Theta Chi, and the Theta Chapter of the Delta Sigma Lambda National Fraternity at the University of Montana-Missoula became the Beta Epsilon Chapter of Theta Chi. Theta Chi was closed in 1943 due to WWII, as the vast majority of men were enlisted. The house reopened in 1944. Theta Chi closed in 1995.